There are probably as many myths as there are dialecticians. In my opinion specific beliefs on food depend on the beliefs of our mothers who told us from childhood what we should eat and what we shouldn’t. 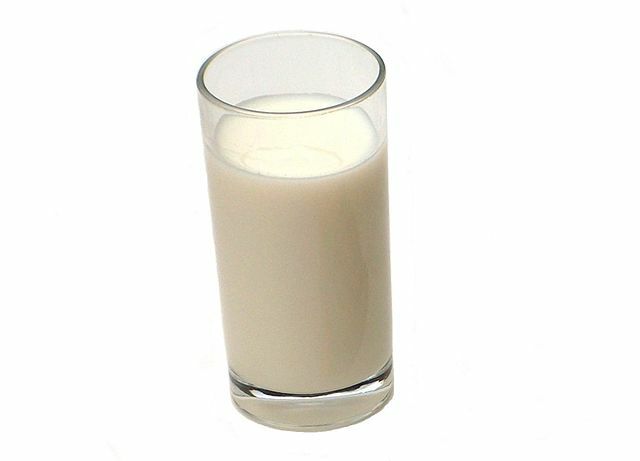 Some say that we are the only species that drink milk as adults; others say that red meat is really bad for us or that we shouldn’t be eating eggs every day. I would like to give you some examples of food myths that in fact are not true according to PhD. Malgorzata Drywien from the SGGW (Warsaw University of Life Sciences). EGGS People that naturally produce more cholesterol should not be eating eggs. As far as healthy people are concerned there are no limits. There are studies that revealed that by eating one egg a day we become healthier. Eggs have luteine, which is good for the protection of our eyes. Moreover eggs are a good addition to diets, because they release hormones that make us feel full. RED MEAT There is no actual problem with red meat itself. However, many people eat it in form of steaks or in hamburgers, which is not the healthiest way of preparing red meat. Many people forget that red meat also includes pork, goose or wild meat, which is much healthier than beef. Moreover, people who eat 500 gr of meat every day definitely have to reduce it, because the suggested amount doesn’t pass 200 gr a day. Another fact is that people who actually avoid meat are often those who have already a very balanced diet filled with eggs, fish, cheese and beans. Another thing is that red meat has a lot of iron, which is an important element for the functioning of our blood system and the meat proteins help iron to get into our blood. This is a big problem for vegetarians that don’t get enough of iron and they are much more likely to get anemia. However, Asians are used to a plant based diet for hundreds of years so their intestines have adapted to their diet. CHICKEN The nutritious value of chicken is high, because it is low in fat, especially when it is correctly bred. It doesn’t mean that we should eat chicken every day. We should look for animal proteins in other products such as pork, fish, eggs or cheese. Chicken meat doesn’t have vitamin B12, which pork has or omega acids, which fish has. FISH In fact eating fish every day wouldn’t be such a great idea. Long living fish, such as Tuna, should be avoided because they gather in their body dioxins and heavy metals, e.g. Mercury. Much safer are sweet water fish, which we should eat once or maybe twice a week. CAFFEINE Drinks that consist of caffeine are of course coffee and among others tea or chocolate (in powder). It is also a rich source of bioflavonoids and antioxidants that protect against cancer. However, they contain oxalic acid, which is a substance known as antinutritious. It is present more in chocolate than tea and in coffee. After drinking these beverages our level of magnesium will go down, but we can always eat something that will help us to get back to the suggested level of magnesium. If you are interested in reading more about food myths, please come back to our site in the next few days, as we will keep updating them on a weekly basis. Posted on April 27, 2013 by saynotofoodwastePosted in BlogTagged bread, calories, food, gastronomy, processed, sustainability. Previous Previous post: We Need Food Diversity!